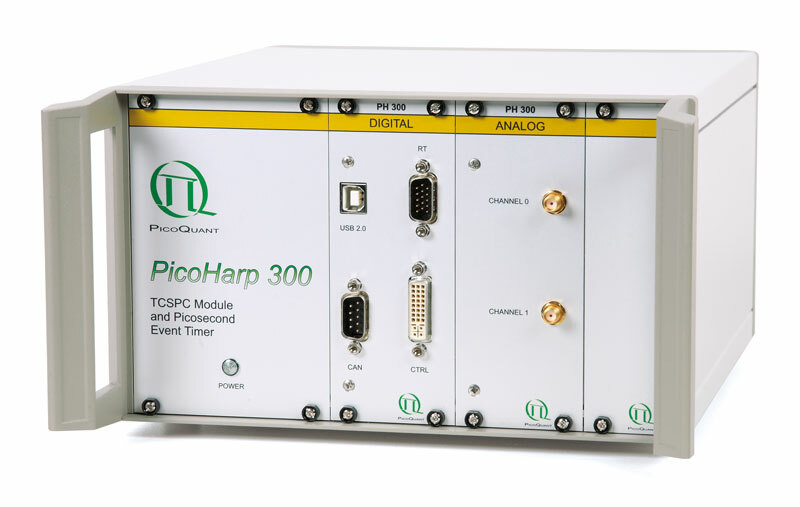 Quantum communication is a field of applied quantum physics closely related to quantum information processing and quantum teleportation. Its most interesting application is protecting information channels against eavesdropping by means of quantum cryptography. 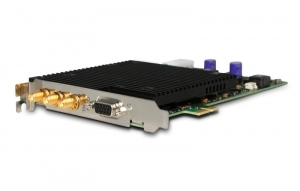 The most well known and developed application of quantum cryptography is quantum key distribution (QKD). QKD describes the use of quantum mechanical effects to perform cryptographic tasks or to break cryptographic systems. 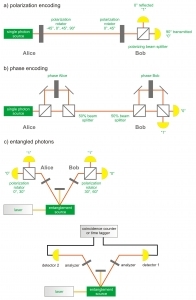 The principle of operation of a QKD system is quite straightforward: two parties (Alice and Bob) use single photons that are randomly polarized to states representing ones and zeroes to transmit a series of random number sequences that are used as keys in cryptographic communications. 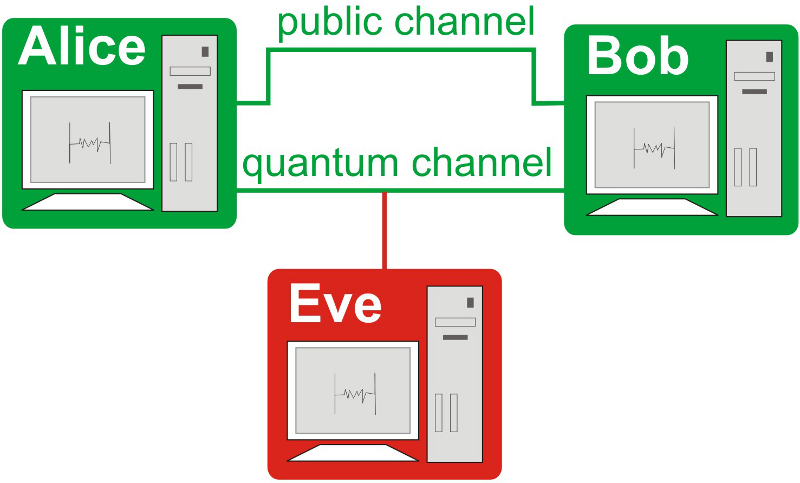 Both stations are linked together with a quantum channel and a classical channel. Alice generates a random stream of qubits that are sent over the quantum channel. 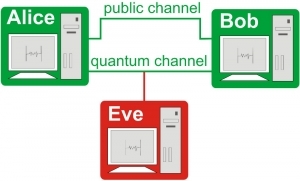 Upon reception of the stream Bob and Alice — using the classical channel — perform classical operations to check if an eavesdroper has tried to extract information on the qubits stream. The presence of an eavesdropper is revealed by the imperfect correlation between the two lists of bits obtained after the transmission of qubits between the emitter and the receiver. 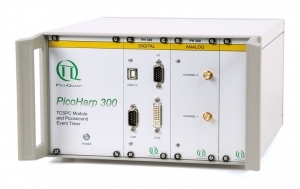 One important component of virtually all proper encryption schemes is true randomnessm which can elegantly be generated by means of quantum optics. 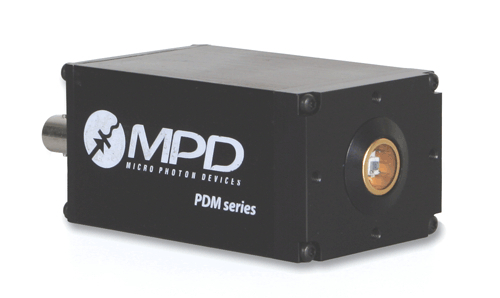 via entangled photons, which requires one sender of entangled photon pairs and two receivers (Alice and Bob) each equipped with a polarizer. Alice and Bob set the two angles at their respective polarization rotator randomly. 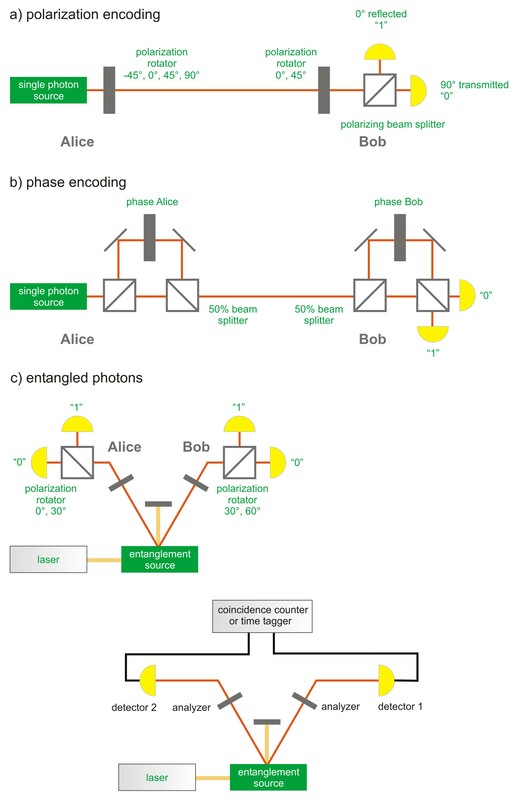 If the angles of Alice and Bob match, both photons behave exactly the same at the beam splitter, i.e., they are either transmitted (binary “1”) or reflected (binary “0”).